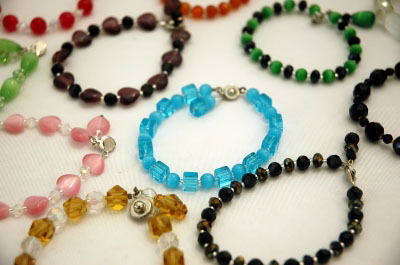 A lot of people do not know that gemstones can be beneficial too. Some think that gemstones are mere accessories that can make outfits look better but some crystals are known to heal different types of conditions. In order to make them effective, you would have to make sure that you put in the different crystals and semi precious stones in attractive necklaces. Once you realize the healing effects that the stones can give, you cannot help but love these necklaces. Do remember to read up about the different effects first so that you are sure what you would like to put as part of your necklace. This entry was posted in Accessories, Health and tagged benefits of gems, gem accessories, gems, healing gems, types of healing gems on October 19, 2013 by Yami. Chinese are more into these kind of healing jems and stones. But I haven’t try to at least one yet.. hehe But will surely have one before this year ends. I love to collect gemstones. I should make one similar to the posted photo.. looks lovely!